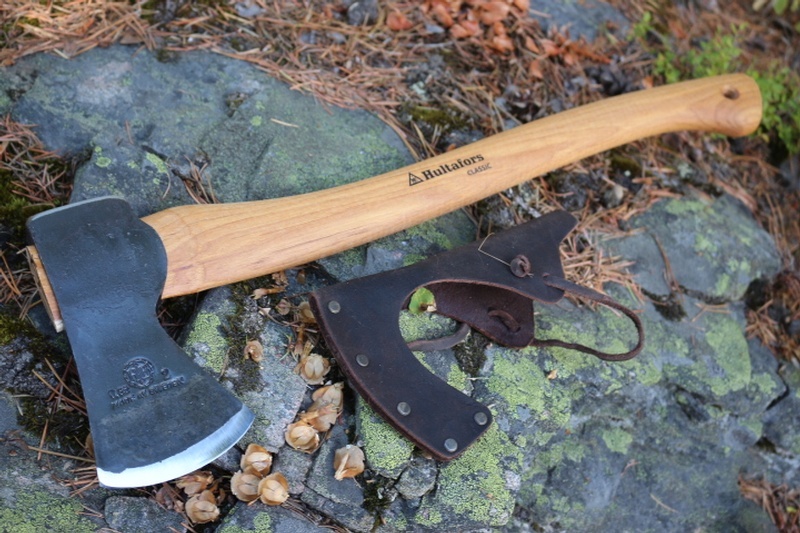 The World's oldest Axe maker, Hultafors of Sweden.This is the Forest Axe~ this one is a Hand forged, hand finished, 20.5in total length,and 2LB head. High carbon steel, Heart wood Hickory handle. Fine, high quality Axe well made, beautifully balanced and ready for work in the Northern Forest. 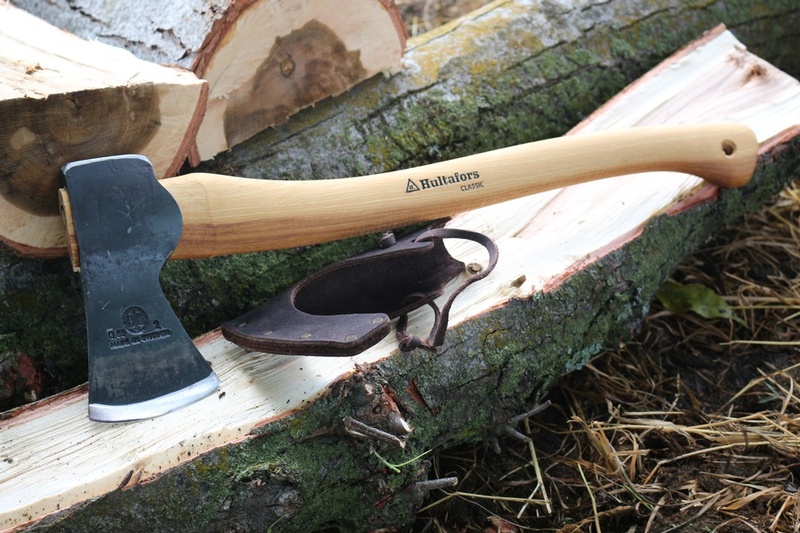 Great for firewood and wood splitting as well as game processing and general camp tasks. The hand axe, is actually THE tool of the backwoodsman. Much more than the periodic woodsplitter of the campsite, the hand axe was often the only tool carried by hunters/trappers and voyageurs. An Axe, a good axe, can complete almost any cutting task… and then some. An Axe, a good axe, a balanced, SHARP,crafted Axe, is a delight to use and carry. The hand forged Axe’s are much lighter than the drop forged type and each Axe comes with a full grain leather head cover. To my way of thinking, everything, every 0Z you carry has to pay its way, and the weight that a good belt Axe adds is worth the effort. You will use a lot more energy in splitting firewood than you would carrying the Axe, and it can be used as a backup knife if required. 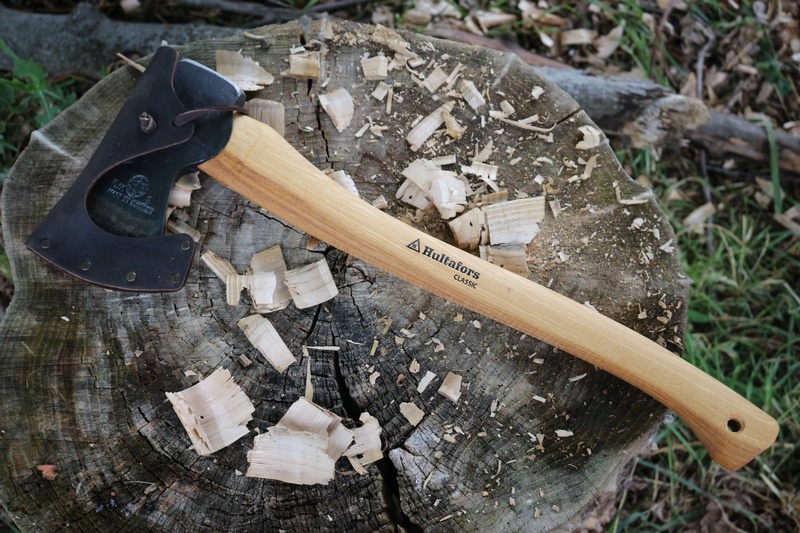 Purchase through PayPal by using the "Add To Cart" button above or use the form below to order the Hultafors Premium Forest Classic Hand Forged Axe . 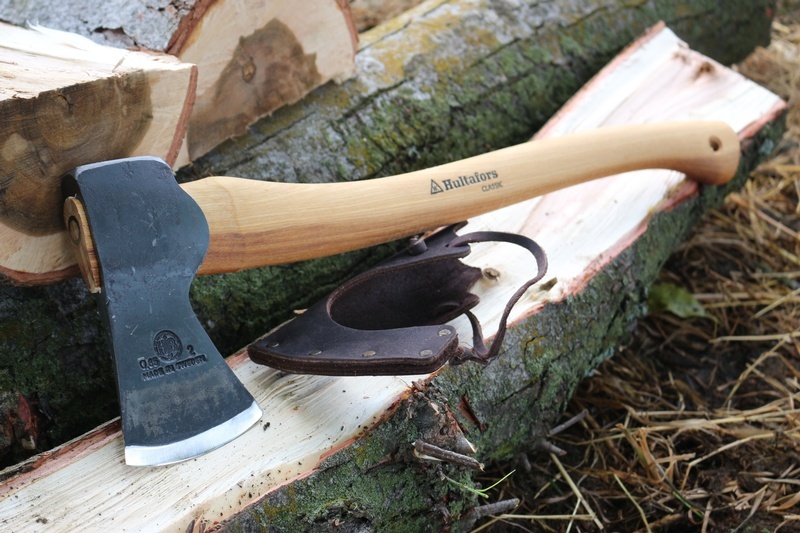 Feel free to contact us if you have any questions about the Hultafors Premium Forest Classic Hand Forged Axe .